Counselling skills are very powerful. Really listening and providing compassionate empathy without judging is a core part of social work practice with service users. This book provides a theoretically informed understanding of the core skills required to provide counselling interventions that work. It provides detailed discussion of three core skills which are identified as: talking and responding, listening and observing and thinking. Over 11 chapters these core skills are described in terms of what they mean, how they can be learned and developed, how they can be used and misused and, most importantly, how specific skills can be employed in a coherent and evidence-informed counselling approach. Loughran also looks in detail at the skills required to deliver interventions consistent with three approaches: Motivational Interviewing, Solution-Focused Work and Group work. 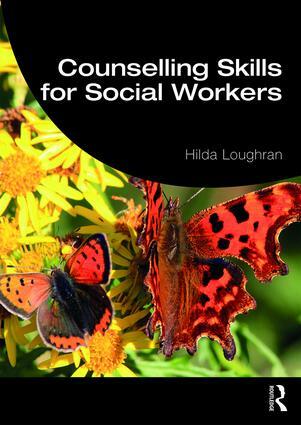 Illustrative case examples and exercises offer further opportunities for reflection and exploration of self-awareness as well as for practising and enhancing skills development, thus making the book required reading for all social work students, professionals looking to develop their counselling skills and those working in the helping professions more generally. Terms such as social worker, therapist and counsellor will be included as they inform counselling skills in social work.